Elmer Lach played professionally with the Montreal Canadiens of the National Hockey League (NHL). Elmer remained with the team for 14 years until retiring after the 1953/54 playoffs. 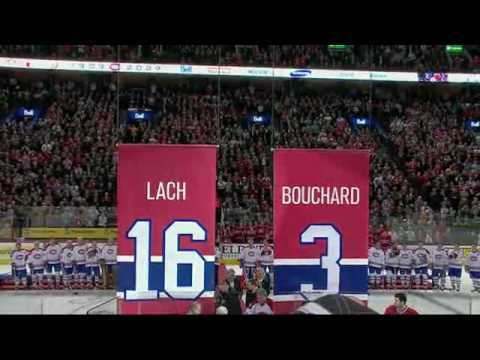 Lach centered the “Punch Line” between Maurice Richard and Toe Blake. During his illustrious career, Elmer amassed a total of 215 goals and 408 assists, adding 19 goals and 45 assists in the playoffs. He played on 3 Stanley Cup teams (1944, 1946 and 1953). Lach was awarded the Hart Memorial Trophy in 1945 and the Art Ross Trophy in 1945 and 1948. Elmer was selected for the NHL First All-Star Team (1945, 1948 and 1952) and for the Second Team All-Star squad (1944 and 1946). He was inducted into the Hockey Hall of Fame in 1966.